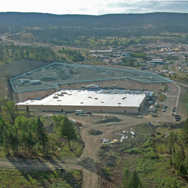 Located adjacent to the new Wal-Mart Supercentre on Prosperity Way in Williams Lake, this exciting new shopping centre will consist of approximately 100,000 sq ft of retail space offering a variety of opportunities, including both large and mid size boxes, commercial retail units and freestanding pad buildings. 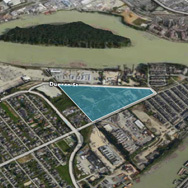 Townline was the successful proponent in securing approvals for over 50 acres of high-exposure lands along the Lougheed Highway, west of the new Pitt River Bridge. 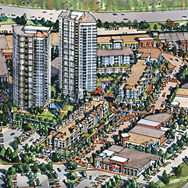 Over 500,000 sq ft of retail and 500+ homes are planned for this exciting new mixed-use project. 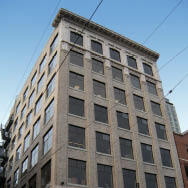 A new concrete construction building finished with a brick facade to echo the historic buildings along Beatty Street. 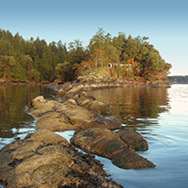 Located in the heart of Crosstown - the area that bridges Gastown and Yaletown - footsteps away from restaurants and shopping. 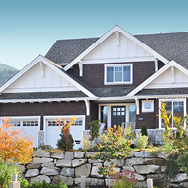 The ground floor retail was leased to Provide Home. 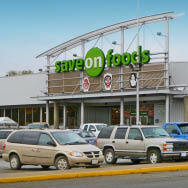 In the heart of downtown Williams Lake, Boitanio Plaza is anchored by a 53,000 sq ft Save-on-Foods as well as a BC Liquor Store. 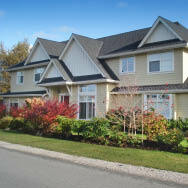 This asset was acquired via a limited partnership with Plat:form and Townline being the general partners. 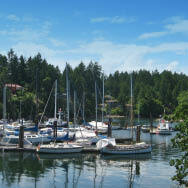 A new lease was secured with the BCLDB increasing the asset's value. 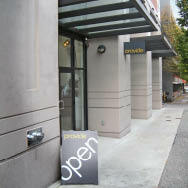 540 Beatty is located between Pender and Dunsmuir Streets, in the heart of Crosstown in Downtown Vancouver. 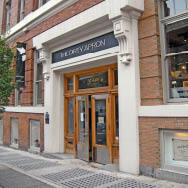 The ground floor retail was leased, and later sold, to The Dirty Apron Cooking School. 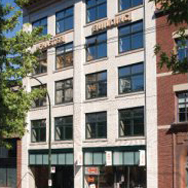 The Lumberman's Building is located centrally in Downtown Vancouver. This eight storey heritage office building was originally built in 1912. 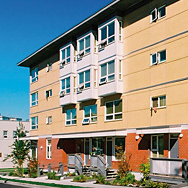 The building underwent renovations and re-tenancy during Townline's ownership. This extensive renovation of the former Foremost Foods building is the home for Abgenix Biophorma Inc. 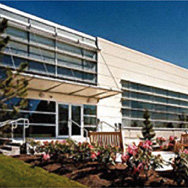 The completed renovation comprises over 60,000 sq ft of state-of-the-art office and laboratory facilities for this biotechnology tenant. 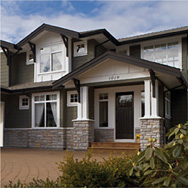 Situated in one of the Lower Mainland's premier business parks, Lake City. 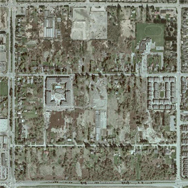 Townline was the successful proponent in securing, rezoning and establishing detailed Development Guidelines for the these lands. This comprehensively designed centre is anchored by a 130,000 sq ft Wal-Mart with the balance comprising a variety of small and midformat retailers amongst a river front village setting. 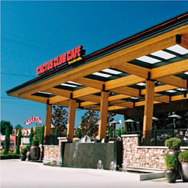 Anchored by Home Sense, this French Provincial designed centre consists of 80,000 sq ft of large format retail premises and two pads fronting Lougheed Highway. 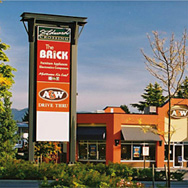 Tenants include Thyme Maternity/Addition-Elle, The Shoe Company, Danier Leather, Canadian Western Bank and Cactus Club. 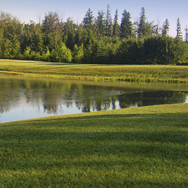 Townline was the successful proponent in securing an Official Community Plan amendment, rezoning and a development permit for these lands. 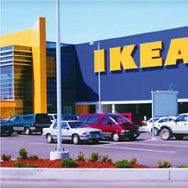 This high exposure site with frontage to both Lougheed Highway and the Trans Canada Highway is home to Ikea's 340,000 sq ft concept store. The McMaster Building was originally constructed in 1920 and the facade was retained and restored during this heritage conversion. The retail space was leased to Barking Babies and the Basquiat Clothing store. 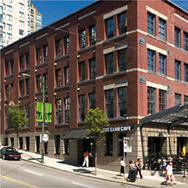 1190 Homer is situated in the heart of the Yaletown district, and the buildings' corner location gives it frontage on three streets. After restoring and renovating this 1914 vintage classic to modern standards, it is now home to a variety of retail, restaurant and office users. This attractively designed 80,000 sq ft power centre offers high exposure, convenient access and ample parking. Anchored by The Brick and La-Z-Boy. The project is zoned C-6, which unlike most other sites along the Bridgeport corridor, allows for a wide variety of retail, restaurant and commercial uses.